Feel like a square peg in a round hole at work? You're not the only one. Feel like a square peg in a round hole at work? You're not the only one. Feel like a square peg in a round hole? You’re not the only one. Earlier this month, BBC Radio 4 broadcast a programme about feeling uncomfortable in the wrong job. 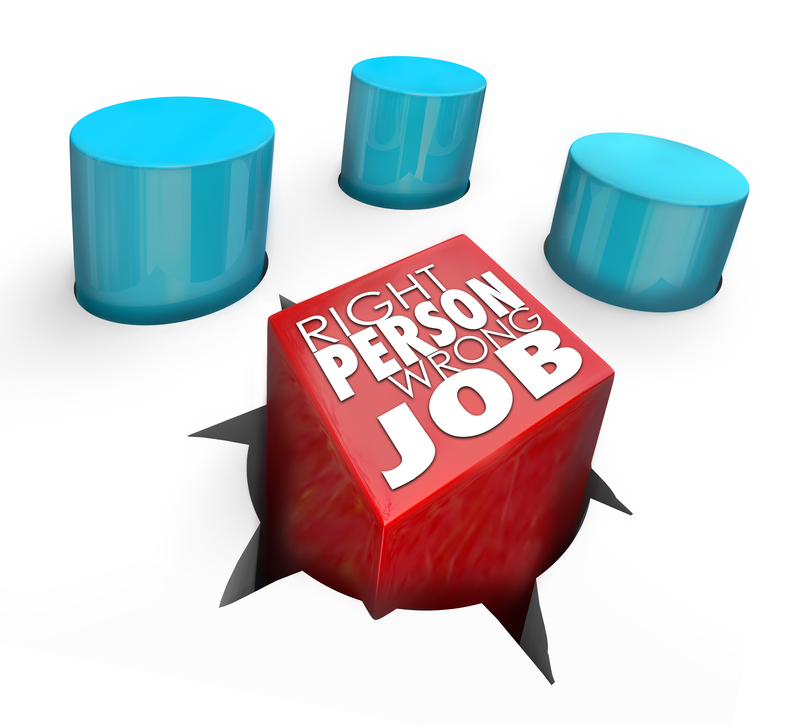 Recent UK based research shows that 2 in 3 people in the UK would chose a different job if they could start again. This means that most employed people admit to feeling unfulfilled in their current role, yet keep turning up at work, attempting to pretend it doesn’t matter. How long can the brain cope with that? Once we get into a job we often don’t question whether that’s the best job for us, what we do instead is try to succeed and excel in that job. In order to have an optimal life, you need to constantly be questioning whether the job you’re in is the job for you and whether there isn’t a better direction to take. and a few points from Baroness Estelle Morris, who resigned after realising her British Education Secretary role was not right for her. You’re not alone. It’s not your fault. You’re not a failure. It’s just that at this point in your life you’re not where you want to be. 1) Be brave but take your time. Go and talk to someone about it, an ally and talk regularly. 2) Find out where you can get some information and advice. 3) Say to yourself, in six months time I’m going to at least have taken one or two steps towards it. Read some more quotes I’ve collected by other wise and successful people to feel inspired. Thinking does not count as an Action. Annoying isn’t it? In January I wrote an article called “If in six months from now your professional situation is the same as it is today, which of these options will resonate with you?” and gave readers a chance to determine their response – A, B or C. Needless to say, since January, a steadily increasing stream of clients has knocked on my door as they realise that merely thinking about how unhappy they are does not improve their situation. But taking action does. You can read some client reviews here. Unless people take a different action, (perhaps to benchmark who they are and what’s important to them at this stage in their life by using a diagnostic tool), they are still going to feel uncomfortable at the end of the year. What a waste of energy. What a waste of 2018. Everyone knows that your long-awaited holiday can be clouded by the dread of going back to the wrong job. You probably didn’t really need a holiday to work out that you’re unhappy. So why panic after your holiday and rush to get sorted before the end of the year, making a potential bad choice? If you take your first step before your holiday, you will have more time to process what is best for you and, if it turns out that employment is the right route for you, you could very well have less competition for your next role. Prove to yourself that you deserve to feel fulfilled by taking a tangible first step. Why not Schedule Appointment for a complimentary Career Next Steps Call and tell me that you are committed to stop being a square peg in a round hole. Next post › Fearful of a Career Change? Of course. Fearful of a Career Change? Of course. Not heard back about your interview?